Warner Bros. has released a trailer for Sully, from director Clint Eastwood and starring Tom Hanks as the titular character. 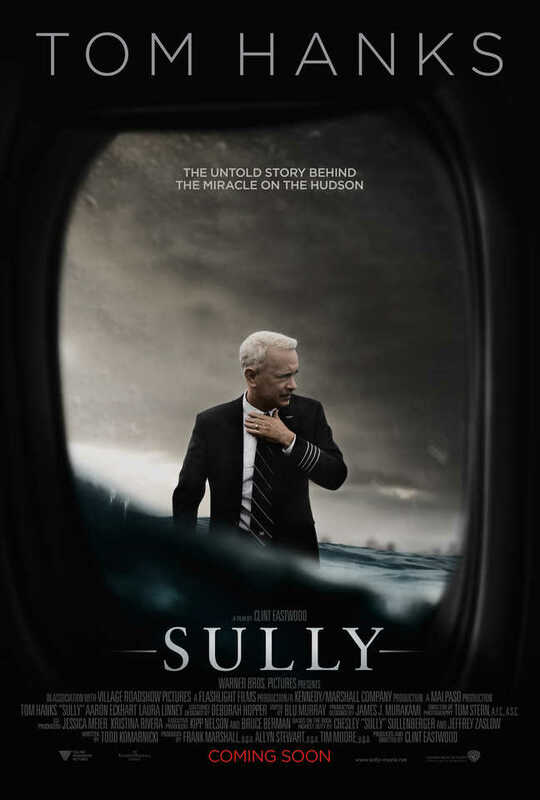 Plot: On January 15, 2009, the world witnessed the "Miracle on the Hudson" when Captain "Sully" Sullenberger (Tom Hanks) glided his disabled plane onto the frigid waters of the Hudson River, saving the lives of all 155 aboard. However, even as Sully was being heralded by the public and the media for his unprecedented feat of aviation skill, an investigation was unfolding that threatened to destroy his reputation and his career. Also starring in the film are Anna Gunn, Aaron Eckhart, Sam Huntington, and Laura Linney. I honestly did not think that this story was worth making a film out of, but judging by the trailer, I may be wrong. Eastwood is a talented director, and even when he is giving us utter crap like American Sniper, he gives us something within the film to focus on. I have a feeling that Sully might actually be a good film.